Londoners aren't short of places to indulge in chocolate. 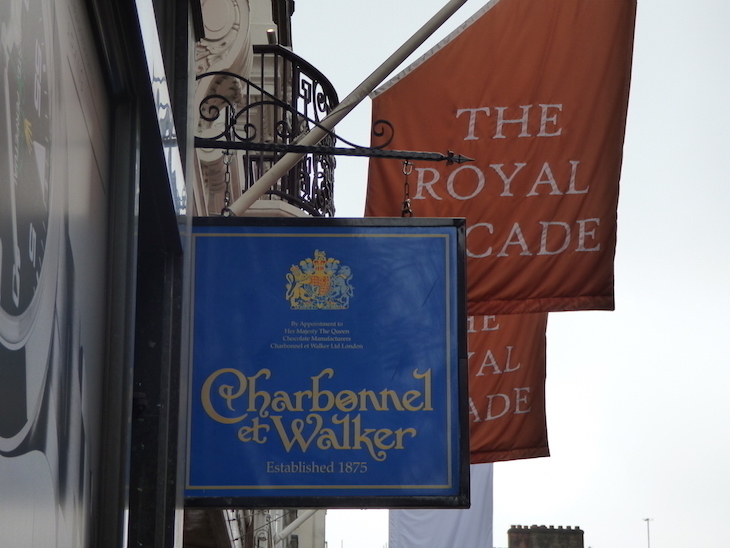 Prestat on Piccadilly is widely believed to be Roald Dahl's inspiration for Willy Wonka, while Mayfair's Charbonnel et Walker is the capital's oldest chocolate shop. But long before Londoners were nibbling on Champagne truffles, they were drinking chocolate. In the 17th and 18th century, hot chocolate was a luxury item for London's wealthy, consumed in chocolate houses where they gathered to socialise. 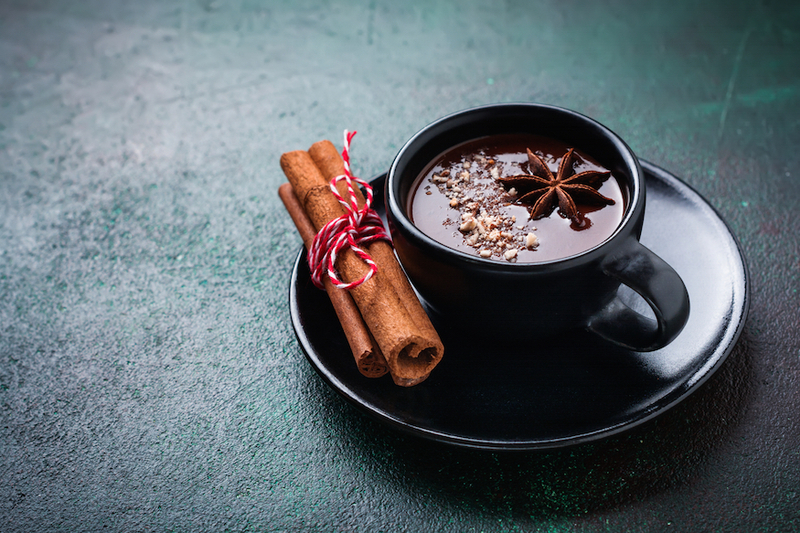 Prepared with spices and exotic flavours, it was a richer experience than today's hot chocolates — but also sweeter than the original hot chocolate invented by the Mayans, thanks to the addition of sugar. It was an expensive commodity, and chocolate houses often charged an entry fee as well as for the product. One of the first written records of chocolate is in Samuel Pepys' diary, the day after the coronation of King Charles II in 1661. He used it as stomach settler for the effects of "last night's drink". Drinking chocolate was also available in the new-fangled coffee houses (coffee only arrived in London around five years previously), but this was often an inferior, watered-down version. Plus, most coffee house visitors were there for the caffeine, which cocoa didn't offer in such quantities. Despite the later cocoa cluster around St James's, London's first chocolate house was in Queen's Head Alley near Bishopsgate in the City of London. In 1657, a Frenchman opened the premises, luring Londoners in with the promise of an "excellent West India drink". And so, London's hot chocolate craze began. 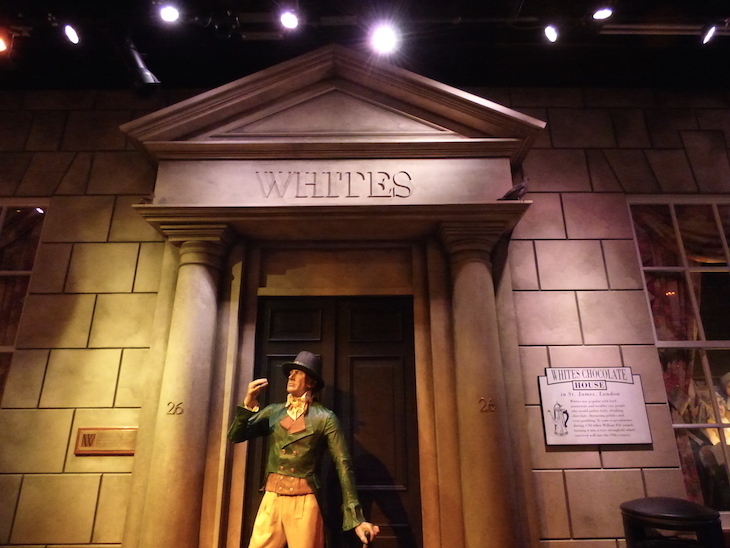 A recreation of White's at Cadbury World in Birmingham. Given that hot chocolate was initially a luxury item reserved for the wealthy, it's no surprise that St James's was the epicentre of its popularity. One such chocolate house was White's on St James's Street — established as a chocolate house in 1693 and still exists as a private members' club today. In early days, it had a reputation as something of a raucous establishment, with huge amounts of money gambled over cups of hot chocolate. It's depicted in the sixth episode of Hogarth's A Rake's Progress. So important was White's to the history of chocolate that its façade is recreated at Cadbury World in Bournville. White's wasn't alone in serving hot chocolate to the well-heeled of St James's. Ozdina's on St James's Street was popular with King Charles II (and his mistresses, apparently). The building no longer exists. The Cocoa Tree on Pall Mall was another chocolate house, which doubled up as informal Tory headquarters in the 18th century. This chap has given his name to large swathes of Chelsea (Sloane Square, Sloane Street, Sloane Gardens, Hans Place, Hans Crescent...) but his link to liquid chocolate comes from further afield. He's credited (and disputed) as the inventor of milk-based chocolate drinks, having travelled to Jamaica in 1867 and witnessed locals there mixing chocolate with spice, eggs, sugar and milk for a drink. Cadbury later sold a product called 'Sir Hans Sloane's Milk Chocolate'. 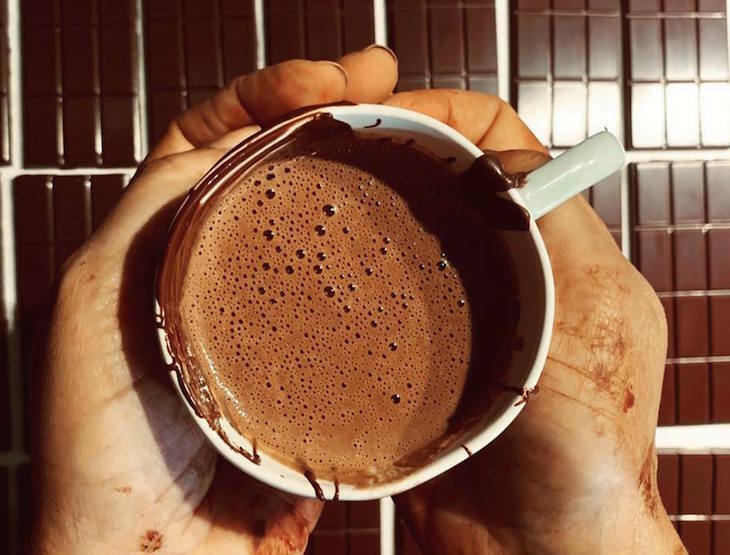 Prior to this, London chocolate houses would have served cocoa mixed with water and spices, so this brought hot chocolate a step closer to how we know it today. Thank Sloane by raising a mug to his statue in Chelsea. As the popularity of drinking chocolate grew, some of London's wealthier residents had dedicated chocolate kitchens installed in their houses (and palaces). Hampton Court Palace is one such building, with chocolate kitchens designed by Sir Christopher Wren in around 1690, just as the chocolate craze was taking off. With this chocolate kitchen came staff dedicated to the production of chocolate. Many royals would enjoy chocolate as a morning drink at breakfast, although William III was particularly fond of it and requested it throughout the day. 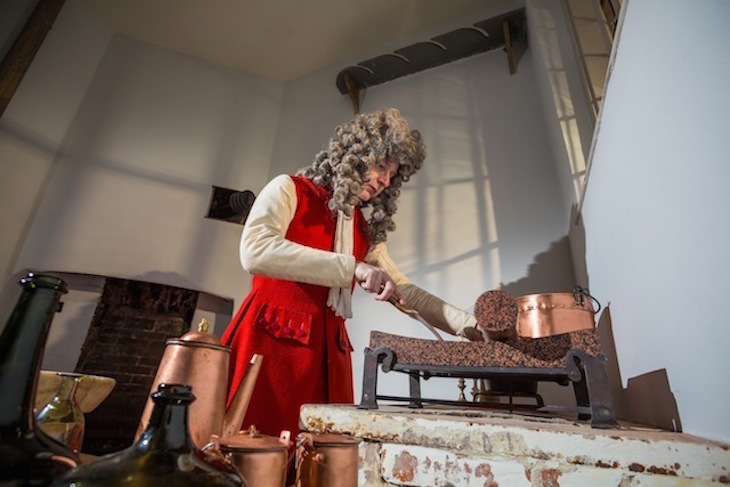 Visitors to Hampton Court Palace today can see inside the chocolate kitchens — the only surviving one in the country — and learn about the ingredients used to make these royal drinks. Thomas Tosier was chocolate maker to King George I, employed at Hampton Court Palace from 1717. It was a job more privileged than most servants, as he worked with expensive, exotic ingredients, and had access to the king's bed chamber to serve him his morning drink of chocolate. Prior to his royal appointment, he ran his own business, Tosier's Chocolate House in Greenwich (no longer there). It was in an area originally known as Chocolate Row, close to what is now West Grove, off Blackheath Hill. Tosier's wife Grace kept the Greenwich business running while he was working at Hampton Court, and clearly made a good job of it; Tosier still exists as a chocolate making company today — focusing more on the solid than the liquid form — with stockists around the country, including in Spitalfields and at Mare Street Market in Hackney. Cafe Godiva, Harrods: Up on the third floor of the world-famous department store, chocolatiers Godiva offer a menu of luxurious melted chocolate ganache-based hot chocolates. Hotel Chocolat and Rabot 1745: Several branches of this high street chocolate shop have cafes attached, which serve a lovely hot chocolate. 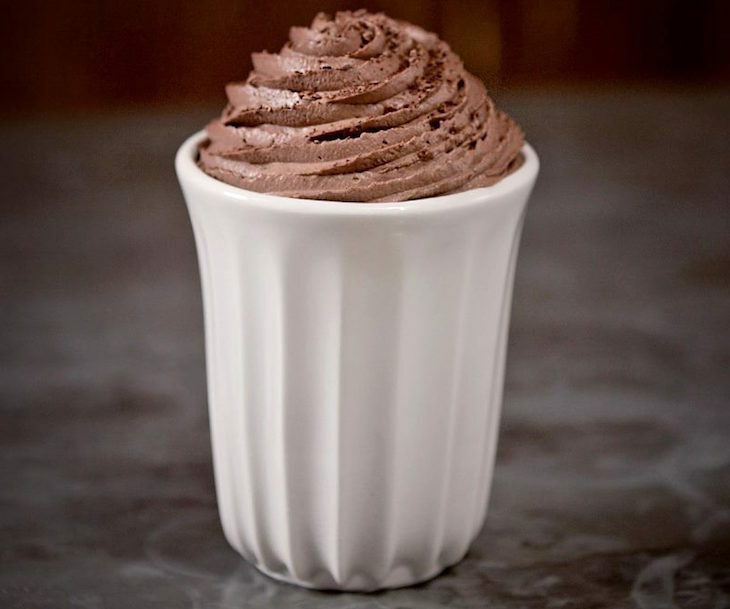 For an even more chocolatey experience try the brand's restaurant, Rabot 1746 in Borough Market. Fortnum & Mason: If you like a bit of decadence, the Hot Chocolate Bar at Fortnum & Mason is the way to go. Drinks are completely customisable, so replace the spices of yesteryear with biscuits, marshmallows, toppings and even booze of your choice. It's not just traditional hot chocolate that Londoners are drinking. Hackney-based brewery Howling Hops — established right here in the capital in 2011 — makes a chocolate stout, a dark and rich drink with coffee notes layered over that cocoa. With 13 million chocolate digestive biscuits produced at the McVitie's factory in Harlesden, someone or something has to do the tedious job of covering them in chocolate. That thing is the enrober — a chocolate river which covers the top of the biscuits in sweet, chocolate goodness. 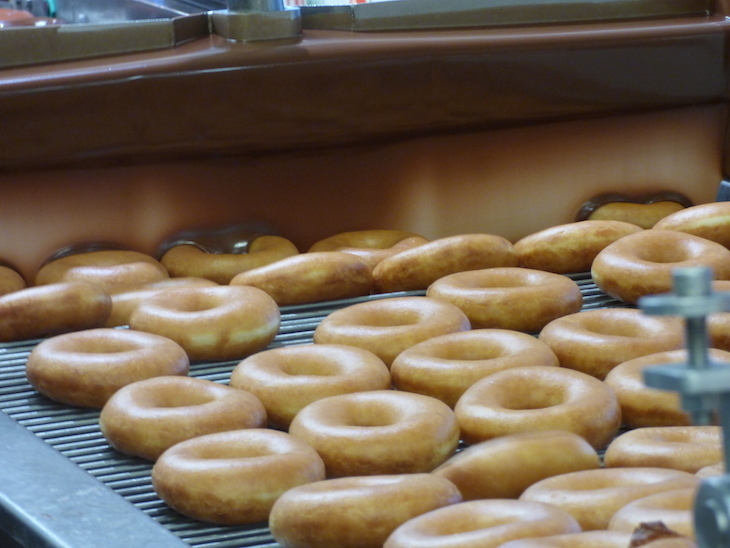 Alas, the McVitie's factory is off-limits to the public, but you can see a chocolate waterfall in action at the Krispy Kreme factory in New Malden. Peer through the window to watch the factory in action.